Amsterdam is known for its canals. The network of these artificial waterways is a part of the special appeal that this cosmopolitan city has. 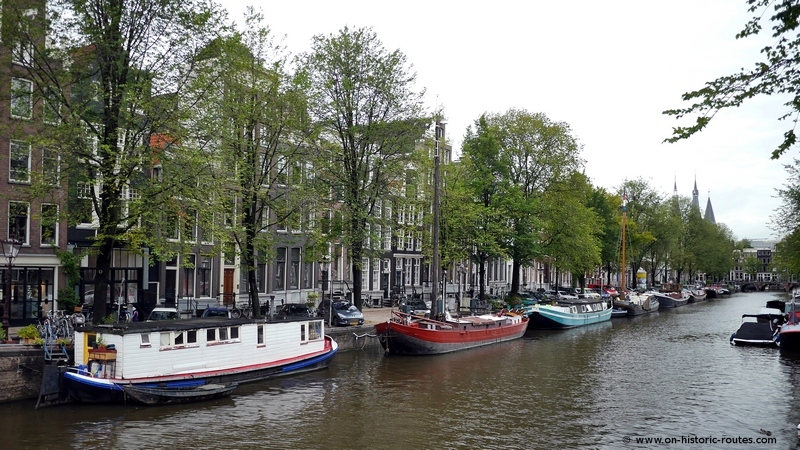 But what is the story behind the Amsterdam Canals? When you look at the map of Amsterdam you notice a ring of concentric canals around the city center. The large scale city planning that led to the construction of these most famous of the Amsterdam canals began 400 years ago in 1612. At the time, the city was in the middle of the 80 Years War for Dutch independence from Spain. This was a boom time for Amsterdam, which – together with explicit religious tolerance – attracted large number of immigrants. Protestants from the Southern – Spanish controlled – Netherlands, Jews from Portugal and Spain as well as Huguenots from France. The old city became to small. The expansion plan not only allowed more people to live and work within the city but also would boost the trade from which Amsterdam became so wealthy. The canals basically were an extension to the harbor. Small boats and barges loaded and unloaded the ocean-going ships and the good were transported through the Amsterdam canals to workshops and store houses. Boats are still moored along the Amsterdam canals. Some of them house boats others small private boats for cruising on the canals. The three new canals were named Herengracht (Patricians’ Canal – after the ruling class in the city), Keizersgracht (Emperor’s Canal – after the German Emperor Maximilian, who protected the Netherland against France) and Prinsengracht (Prince’s Canal – after William, Prince of Orange, leader of the Dutch Rebellion). 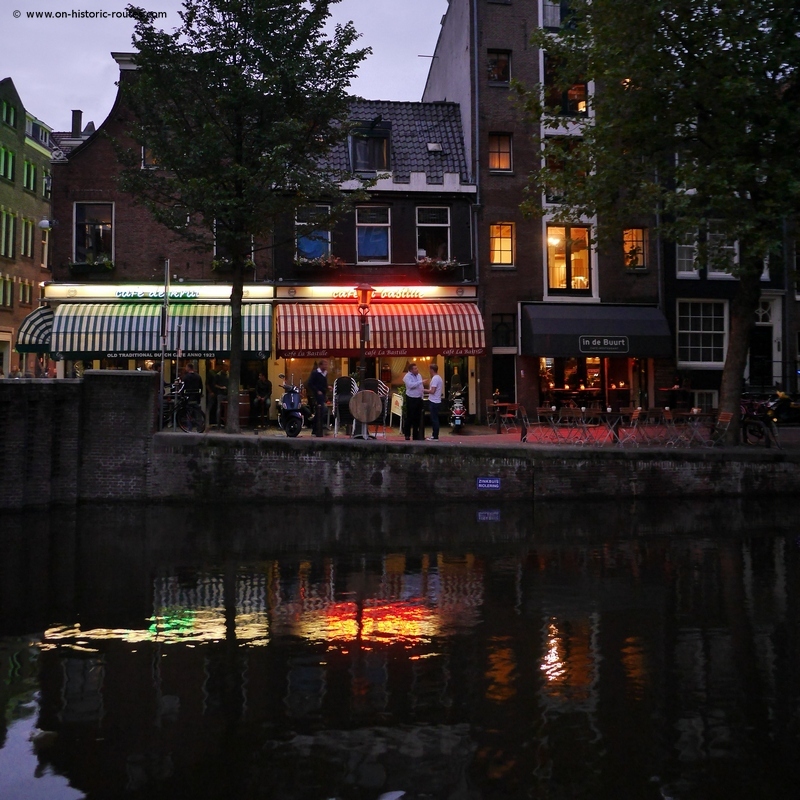 Together these three Amsterdam canals and the old Singel canal have a length of ten kilometers. It took about 40 years for their construction to complete. At that time Amsterdam and the Netherlands were at the height of their Golden Age. 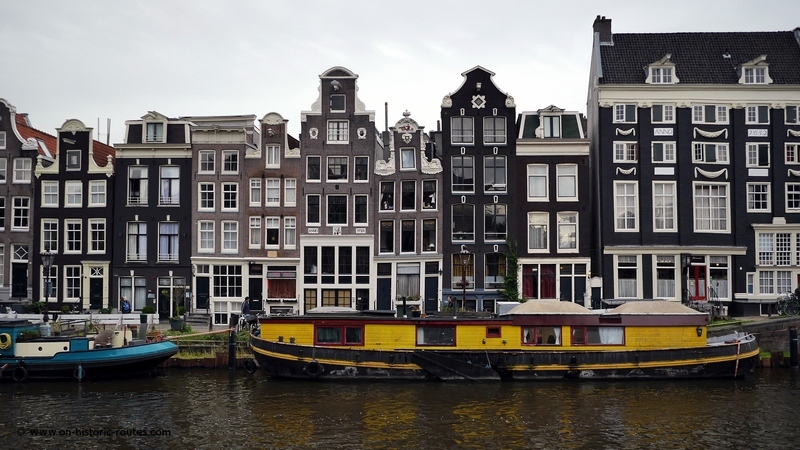 Amsterdam was probably the wealthiest city in the World and the Netherlands the most powerful sea power. Trade with East Asia through the VOC – the Durch East India Company – and a trade monopoly with Japan allowed for huge profits. The representative buildings along the Amsterdam canals were built from the international trade. 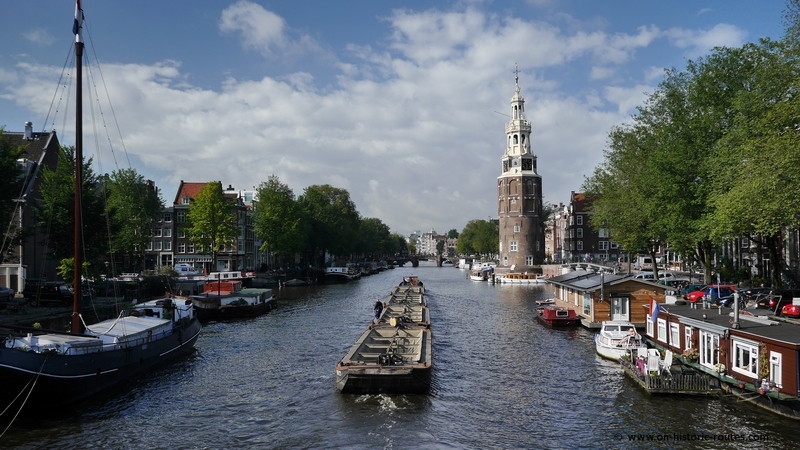 Today, the Amsterdam canals are no longer used for commercial purposes. Unless you want to include the tourist boats in that category. The port of Amsterdam (still the 4th largest in Europe by amount of cargo) moved away from the city and lies beyond the main train station and all along the new big canal (the North Sea Canal) that connects Amsterdam directly with the North Sea at Ijmuiden. 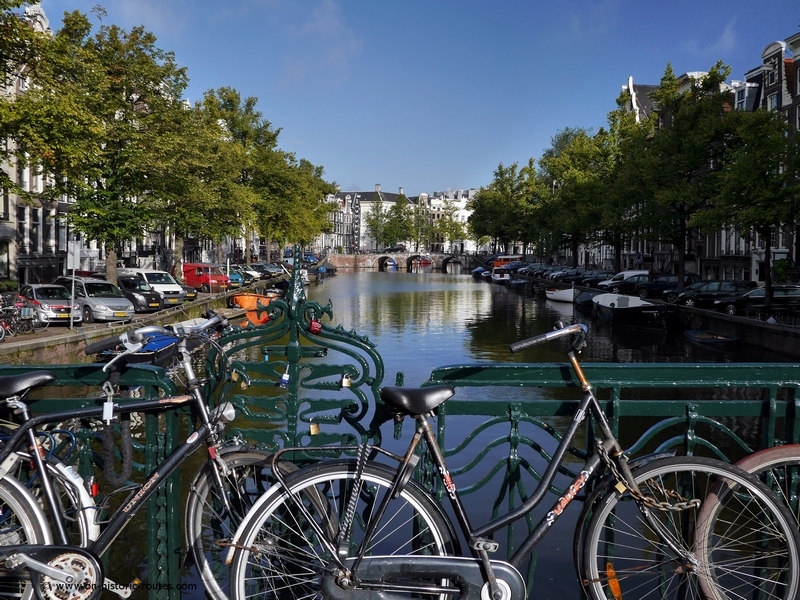 The traditional canals today attract both tourists and residents as sought after streets for living in the heart of the vibrant city.